Dr. Monahan is an experienced CEO-level executive and has served on a number of biotechnology company boards over the years. He is currently a Scientific Advisory Consultant for Synthetic Biologics, Inc. (NYSE MKT: SYN) and from 2010 through 2015 he was the Sr. Executive Vice President of Research & Development Synthetic Biologics, Inc. He is also a director of Heat Biologics, Inc. (Nasdaq: HTBX), a position that he has held since 2011, and was a director of Tacere Therapeutics, Inc., a wholly-owned subsidiary of Benitec Biopharma Limited (Nasdaq: BNTC) from 2006 to 2015. In addition to his work with public companies, Dr. Monahan is also currently a member of the Scientific Advisory Board of Agilis Biotherapeutics, Inc., a position that he has held since 2014, and is a board member of several other biotechnology companies. In addition, in 1992 he founded Avigen, Inc., a biotech company that pioneered the development of gene medicines based on adeno-associated virus vectors, now an industry standard. Over a 12-year period as its CEO, Dr. Monahan took Avigen public through an initial public offering raising over $235M and led the company through several Investigational New Drug (IND) applications. Prior to Avigen, Dr. Monahan served as Vice President - Research and Development at Somatix B.V., and Director of Molecular & Cell Biology at Triton Biosciences, Inc. He was also previously Research Group Chief, Department of Molecular Genetics at Hoffmann-LaRoche Inc., and Adjunct Assistant Professor, Department of Cell Biology at New York University. 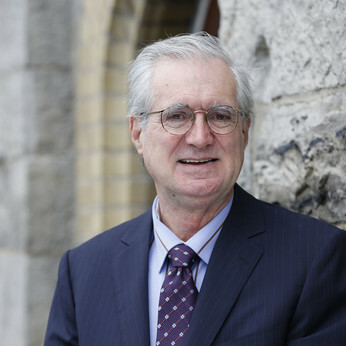 Dr. Monahan earned a Ph.D. in Biochemistry from McMaster University, Hamilton, Canada, and a B.S. in Science from University College, Dublin, Ireland. Dr. Monahan has over 50 publications in scientific literature and has made hundreds of presentations in public TV appearances, to scientific groups, investors and the general public over the years.